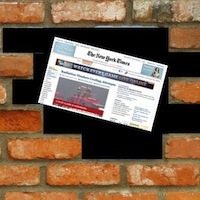 If efforts to save their dwindling companies in the declining industry of journalism, many newspapers that have moved their product online are also looking to charge subscriptions for content (a method called a “paywall”). 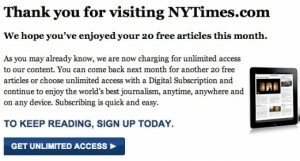 In fact, 300 online newspapers in the U.S. have already put these paywalls in place. But the effectiveness of this method is still questionable, as many of the companies that have tried this have seen a decline in traffic and an unwillingness to pay. Researchers wanted to know why it was that content which people found useful was suddenly not worth paying for. In a paper called, “Paying for What Was Free: Lessons from the New York Times Paywall,” Jonathan Cook, Associate Research Scientist in the Department of Psychology at Columbia University, and Shahzeen Attari, Assistant Professor in the School of Public and Environmental Affairs (SPEA) at Indiana University-Bloomington, studied New York Times’ readers to find out what their underlying attitudes were for not paying and how they could be changed. 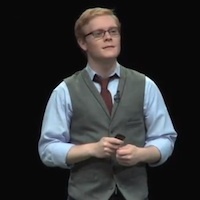 They found that readers who believed the newspaper introduced the paywall because of financial need were more supportive, whereas ones that believed it was introduced out of a desire for more profit were less supportive. 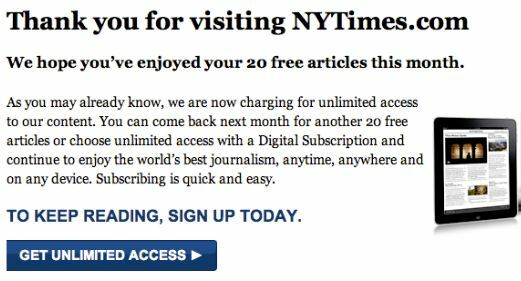 In an online survey done shortly before the company kicked off its paywall, they found that most readers planned on not paying for access. 10 weeks later the subjects were divided into two randomly assigned groups. Half had to read a justification that the paywall was for a financial need, and the other half were given a justification that it for profit. Readers still were not fans of paying for the content. And after the paywall installment they found the site was visited less frequently and people looked for ways around the paywalls. But they did find attitudes and behaviors could be shifted by supplying a justification that emphasized fairness. The readers who received the financial need justification said they were more likely to pay for the content. But more likely doesn’t mean they will. 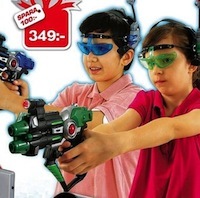 The First Gender-Neutral Toy Catalog?